Mary Ann Halpin is an acclaimed photographer for over 30 years, author, speaker, and workshop facilitator. She has created four photography books, Pregnant Goddesshood: A Celebration of Life, Fearless Women Midlife Portraits, Fearless Women, Fearless Wisdom and Fearless Women, Visions of a New World. Her books have been featured in LIFE Magazine. Mary Ann has appeared on television shows such as The View, Inside Edition, Extra!, and A Baby Story and the most recent book became an Amazon best seller. Her photograph of jazz artist Jennifer Leitham was featured in the Vanity Fair special edition "Trans American." 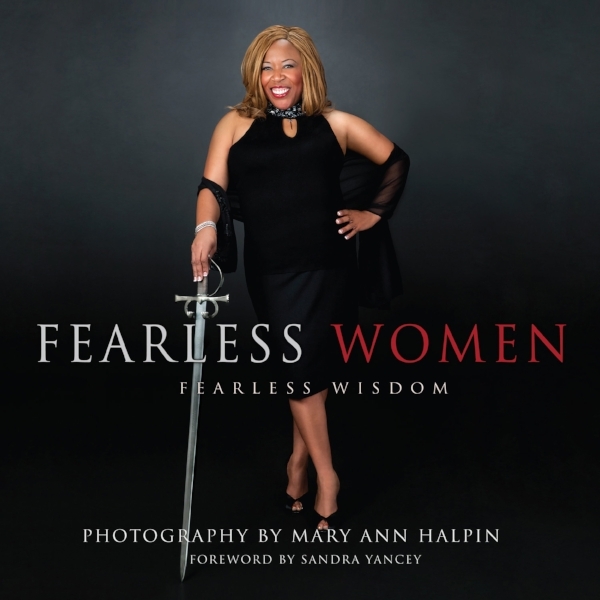 In her extraordinary photography book, Fearless Women, Fearless Wisdom, internationally acclaimed author and photographer Mary Ann Halpin has brought together 40 female entrepreneurs from across the country to celebrate their courage and strength in having worked through their fears to achieve great personal and professional success. This fine-art coffee table book of 40 women each holding a sword of courage, reveals the stories of how they have transformed their challenges into triumphs. The book represents women who have overcome childhood trauma, physical and emotional illness, and near financial devastation. These courageous women are mirrors and examples for us all. Their stories show us that in order to create conscious change within, we must face our fears and walk through them. 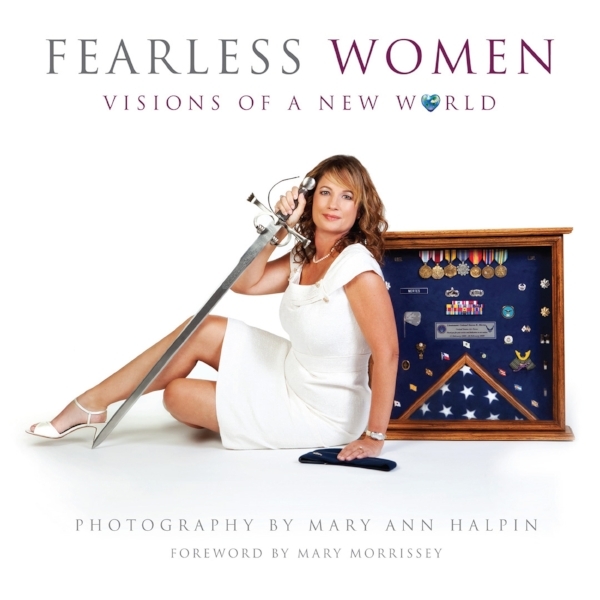 In her most recent book, Fearless Women, Visions of a New World, photographer Mary Ann Halpin has created a platform for 50 visionary women change-makers that are taking action to make the world a better place. Fearless Women, Visions of a New World is a splash of color on a huge open canvas of need and creates an opportunity for you the viewer to be inspired and move to contribution. Fearless Women, Visions of a New World will inspire and infuse a spark, to ignite a passion in each of us. Together we can make a huge impact on this world. Fearless Women, Visions of a New World is the third in the series of the Fearless Women® books. This 10x10 inch fine art coffee table book features portraits of woman holding a sword and / or a symbol of what they are doing to change the world. Many of the visionary women featured are leaders in the human potential movement; inspirational teacher, Mary Morrissey; Marcia Wieder founder of the Million Dreams Campaign; Mona Polacca, one of the 13 Indigenous Grandmothers along with celebrity/activists Linda Gray and Frances Fisher. Women change-makers such as Rebecca Grossman, founder of the Grossman Burn Foundation; Dr. Doreen Granpeesheh, foremost authority on autism, and Tabitha Kyambadde, founder of African Mission Outreach Organization are inspirations for us all. This book is a great gift book for a fearless friend, sister or mother and includes a music CD of inspirational songs featuring the beautiful voices and music of: Faith Rivera, Chris Bennett, Karen Drucker, Sister, Karen Taylor Good, Suzanne Teng, Starr Parodi Fair, Perfect 5th & Sarah-Jane Owen, Marsha Mercant, Cilette Swann with Gypsy Soul,Yeh Dede, and Sherry Williams.